The MAC Duo Edit – amandarobots. Today I thought I’d share my two most used eyeshadows of all time: MAC’s Patina and Cork. They usually live in my MAC 15 palette, which you can have a closer look at with swatches here. However, I popped them into a duo (which you can buy for just a few dollars at MAC) because it’s easier to take with me whenever I’m staying somewhere overnight. My favourite shade of the two has to be Cork. You can barely see the swatch because it’s so close to my skintone and it’s a satin shade that reads matte, but that makes it really versatile. 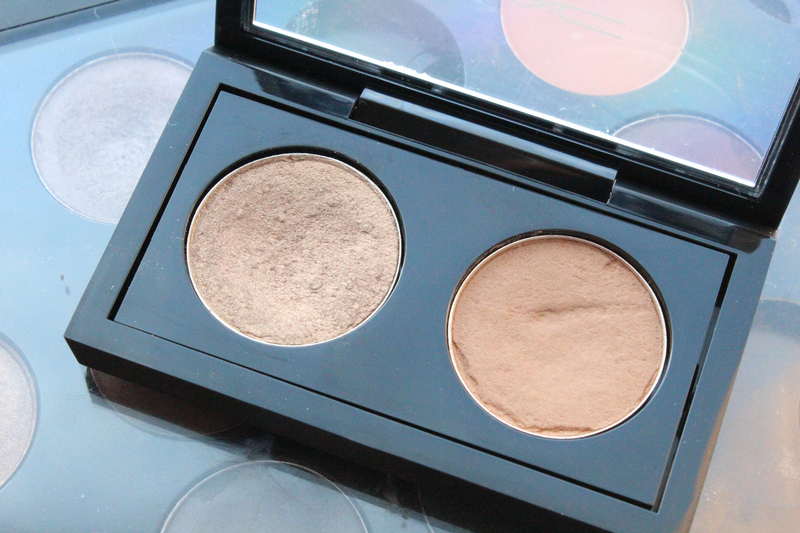 I use it virtually every time I wear eyeshadow to blend the colours out and get rid of distinct lines. 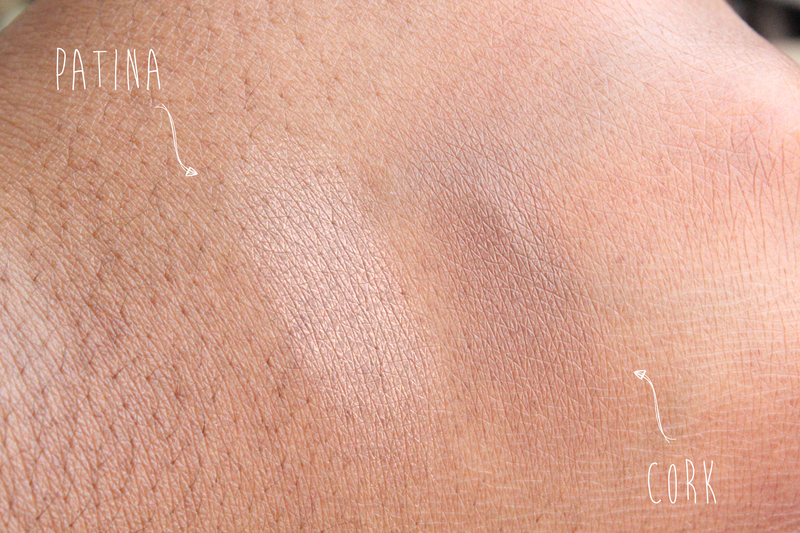 On someone with lighter skin, it would be a beautiful matte crease shade; on someone with darker skin, it could be a really nice transition shade from crease to browbone. The other shade, my second-favourite, is Patina. It’s a slightly shimmery antique-y gold that I wear all the time. It’s a perfect lid shade for me because it’s a bit lighter than my skin, shimmery but not frosty, and subtle enough to wear by itself (or blended out with Cork, which is often the case). I love this with a slick of winged liner, or a smudge of brown pencil and a bold lip, or…anything, really. It’s that good. If my MAC palette disappeared tomorrow, these would be the shades I’d repurchase first.